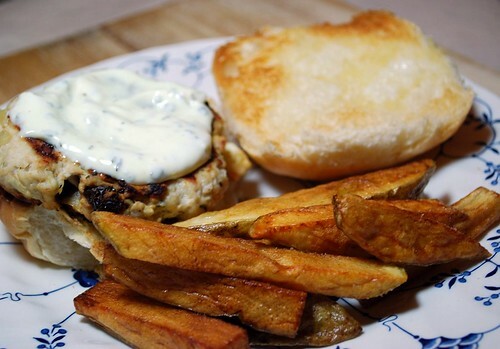 Here is one of our favorite dishes to grill when the weather is nice. There have been a few mild evenings this February here in North Georgia – but tonight was not one of them. So we fired up the George Foreman grill instead! Can I use the cast iron? Now the receipt of this compliment is a remarkable accomplishment in my life for several reasons. 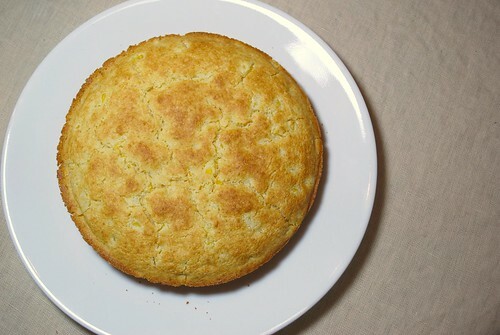 But the primary reason is this: I actually made this cornbread. I think I need to start out by admitting the truth: I love Alton Brown. I have even considered going to stalk him in the finer grocery stores of north Atlanta. I’ve always been a bit of a science nerd, so his scientific approach to cooking and baking really appeals to me. 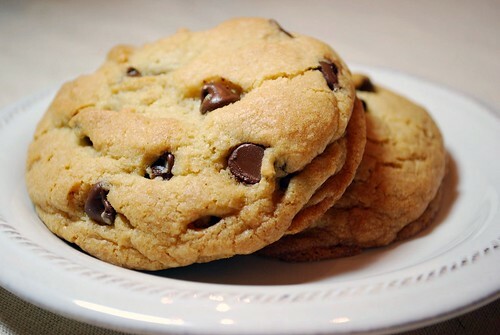 I’ve been wanting to try his recipe for chewy chocolate chip cookies, and over the weekend, I got my chance! They turned out beautifully – fluffy, doughy, chewy, delicious.
. . . wait until you try this coffee cake! I wanted to use up some buttermilk that was going to expire, so I came up with this moist and fluffy morning treat. We cannot stop eating it – morning, noon, and night! 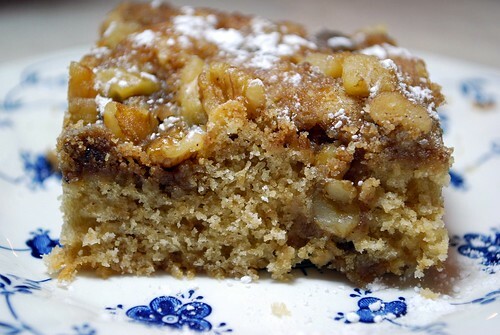 The buttermilk adds just the lightest touch of tangy flavor to the delicate cake, and the toasty spiced nuts that make up the topping are just delicious. Just one more reason I am glad that I let my husband register for the mini fry-daddy . . .
Just like with chili, my mom makes the absolute best meatloaf. 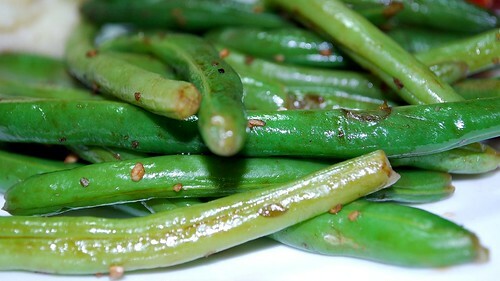 There is nothing more comforting and homey than a nice juicy, tender slice with mashed potatoes and green beans on the side. Here, I take my mom’s meatloaf, and I do it my way. Basically, this means adding some bacon and some herbs – but the base is the same recipe as my mom’s. 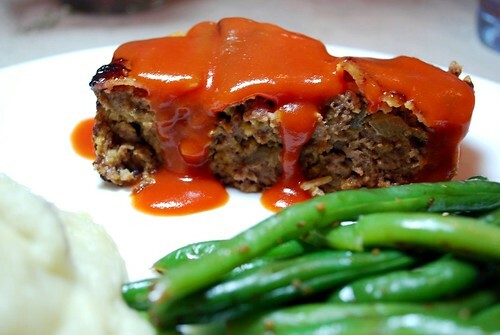 This meatloaf is unbelievably flavorful. The smoky, salty bacon basically marinates the meat as it cooks, keeping it moist and delicious. The easy tomato sauce on top completes this perfectly cozy dish. 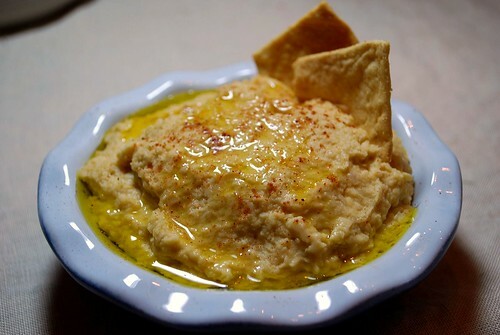 Hummus is a favorite snack in our household, and I’ve been wanting to try making my own hummus for a while now. 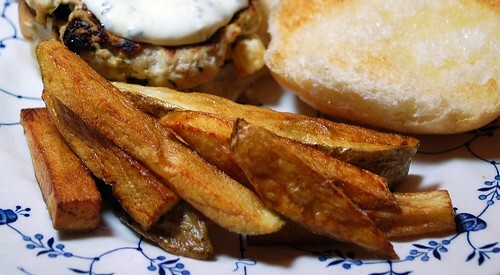 I’ve heard that not only is it cheaper to make it yourself, but it’s also much more delicious to make it from scratch. I am one vintage lady who loves to make things from scratch on the cheap, so I was excited to try this out!